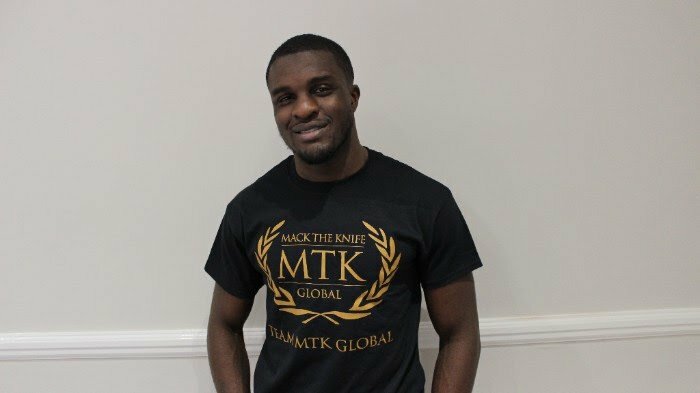 Ohara Davies hopes he can get his career back on track after signing a management deal with MTK Global. Davies (16-1, 13KOs) has been out of the ring since his sixth-round stoppage victory over Tom Farrell nearly four months ago following a contentious tweet from the divisive Londoner last month, which led to a public backlash and his subsequent ring absence. The talented 25-year-old light-welterweight, a former English champion who has also claimed WBA international and WBC silver titles, has signed terms with MTK Global in the hope that he can recover from his recent controversy. “I’m incredibly excited to join MTK and can’t wait to get started with them,” said Davies. “I have come to a stage in my career where I am looking to push on and challenge at the highest level and for this I wanted to have strong and experienced management team in my corner. “In my opinion I am joining the best team in the business. I appreciate the help I’ve had up to now, but this is my opportunity to move forward and also for people to get to know the real Ohara Davies.”In advance of his ring return, a remorseful Davies is keen to explain the context of the controversial tweet that led to a recent Twitter storm and criticism from many boxing fans last month. Having been linked to a potential bout with Hull’s Tommy Coyle, the Hackney native took to Twitter in an attempt to hype that bout. Davies expressed his support for a daily newspaper in a tweet that was interpreted by many fans to be a reference to contentious coverage of the Hillsborough disaster. However, the Londoner insists that his comments were misinterpreted and he did not in any way mean to refer to that tragic incident. “In the tweet that I sent out, I mentioned The Sun,” explained Davies. “Tommy Coyle doesn’t like that paper and I know he doesn’t like it, so I mentioned it because I was trying to sell the fight. “It wasn’t about Hillsborough,” insisted Davies. “Hillsborough was a very tragic event that I didn’t know anything about. It happened before I was born and I don’t know anything about football. “I really sympathize with the people of Liverpool because I now understand why they were upset with the coverage of the Hillsborough disaster. I didn’t mean in any way to refer to that tragedy, but I realise the upset I’ve caused and I don’t intend to do any interviews with The Sun. Davies is back in training and MTK Global will announce fight plans for the 25-year-old in the near future. Note: iFL TV will upload an exclusive interview with Ohara Davies on their YouTube channel this evening.